Isn’t it time you joined Apollo Bingo Barrow? You can’t beat a night out at the bingo. Where else can you get a brilliant night of entertainment and potentially come out at the end of the night with more money in your pocket than when you arrived? It really does provide the complete night out. Whether you fancy popping along to enjoy the bingo before heading off into town, or plan to make a night of it – you can relax and socialise in a safe and fun environment. With a diner serving delicious hot and cold food and a well- stocked bar you won’t go hungry or thirsty either. It’s a great place to meet with old friends and make new ones too, with members ranging from 18 to 102. If you’re new to bingo and fancy becoming a member, then now is the perfect time to do so. Not only is it free to join, you can now also receive some fantastic freebies on your first four visits too. 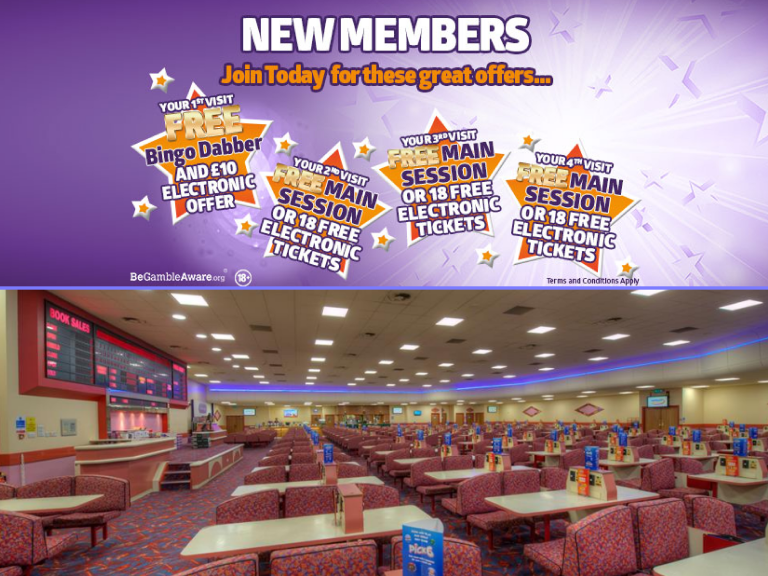 On your first visit as a new member you’ll receive a free bingo dabber and a £10 electronic offer, and on your second, third and fourth visits you can choose between either a free main session or 18 free electronic tickets. The Apollo experience is all about ensuring that their customers have a great time from walking through their doors to leaving, feeling they have been entertained and looked after - it’s about the personal touch! So head on over to Apollo Bingo Barrow, sign up and become a member – you can’t beat a night at the bingo! To join simply contact Gareth and the team by calling 01229 825316 or by popping in to see them on Hollywood Park – and don’t forget to tell them thebestof told you!